Click the links above to download the pdf file(s), print on 8.5x11" white/cream colored card-stock, then trim. I also posted a Star Wars birthday banner free printable here. 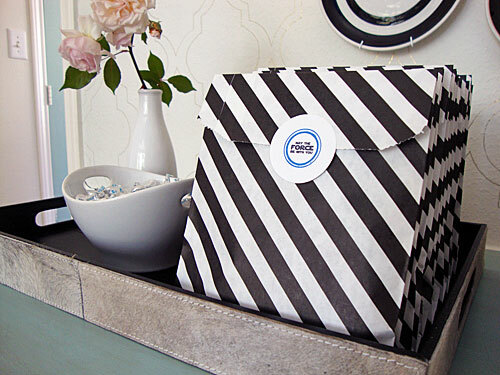 Great printables!! We are having a Star Wars party for my son in a few weeks and these will be fabulous! Thanks so much for sharing! Pinned! My son is turning 5 and we will held a party on the weekend of the 12th of May. I would like to see if you have anything free from you last party or if you would like to sell something for some amount of money. sorry i forget to tell you that I live in Sydney. I purchased the Star Wars cookie cutters from Williams Sonoma. Hi! I can't tell you how excited I am to have found your blog posts and free printables. I'm on (unpaid) maternity leave and my son's 6th birthday party is coming up and your printables are perfect for us to cut costs!! Thank you ever so much! I'm wondering whether you could modify the printables to make them red rather than blue. I would happily pay you to do this. Is that possible? 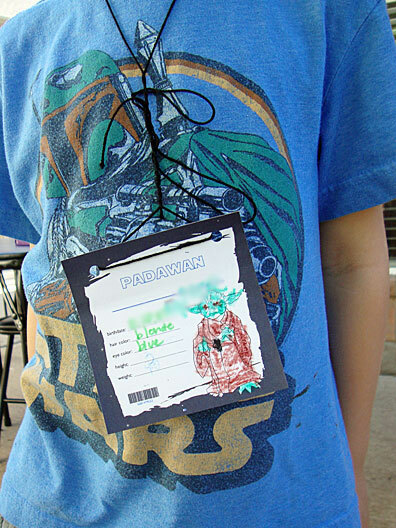 Thank you SOOOO much for the Star Wars party printables and ideas- what a wonderful site!! I am using it for my son's 6th birthday tomorrow. Your stuff is beautiful! I love these printables. Thank you so much for sharing. However, I do not see any arrows to print these. Any ideas? You may need to update your version of Flash to see it correctly. Here's a direct link to the downloads. Hi, How do you make the food label printables bigger? Thanks for your help! Thank you so much for the free printables! Awesome and perfect for my son's 7th! Thank you! I am using these for my son's party which is coming up soon! Thank you for sharing! My Scouts are going to love these for their party coming up next month. Hi! So very excited to use these printables for my son's upcoming party- hes star wars obsessed!!! Do you have a printable for the invitations or can I purchase them through you? Thank you so much! I am planing my 6 year old brother's party and we are going to use them thanks! How do you get the certificates to print larger than 4 to a page? Thank you! Thank you! 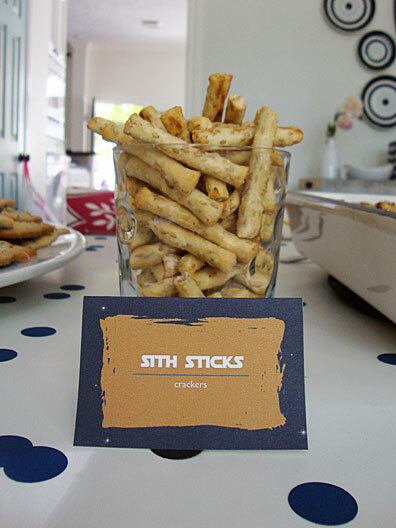 I just had a Star Wars birthday party for my 5 yr old and your printable saved me! Thank you so much for the free Jedi Training Certificate. My son is having a Star Wars party next month and I've been looking for one of these that matches my color scheme! Thank you! Hi, thank you for the printables, I just translate them to use them on the 7th birthday of my son. Totally love these! My son's Birthday is next week and Star wars is his theme. This is so helpful thank you. Wow your printables are fantastic!!! I am having a Star Wars party (duh!) for my son in 2 weeks and I love it - thank you for sharing!!!! Thank you so much for sharing! These will be fantastic for my son's 6th birthday! Thank you for sharing your designs, my grandson will love these! Thank you so much for the printouts! Doing a party for my son this next week and this just made my job so much easier!!! Thanks for the hard work!! 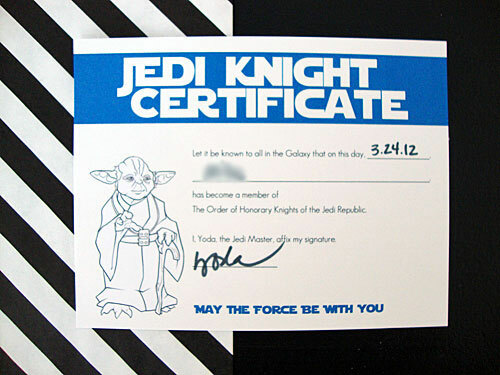 Doing a Star Wars party for my son and thought I came up with the Jedi Knight Training Certificate..then did a search before I designed it and found you. Saved me loads of time!! Thank you so much for the printables! I used them at my sons Star Wars birthday party and will be linking to your site on my blog!! Thanks again! They were a BIG hit! These printables are so helpful. Thank you so much for providing them!! Thank you so much for the Jedi certificate PDF!!!! I have been trying to make one and yours is perfect. Thanks so much! Hi! I'm also trying to download the printables but haven't been able to either download them or print them. How does it work? Thank you! Selamat Bergabung Di Poker online , Tantepoker Adalah Poker online terbaik SE-ASIA Yang Kini Hadir Dengan Nuansa Sangat Menarik Hanya Dengan 1 User ID Sudah Bisa Bermain Semua Games (Poker, Capsa, Live Poker, Q-kick, DLL). Semakin banyak kemenangan Anda semakin senang kami sebagai Agent Poker online, DominoQQ, Poker Domino, Judi online, BandarQ, Ceme. Mari Segera Bergabung Bersama Kami & Daftarkan Diri Anda Hanya Di TANTEPOKER.